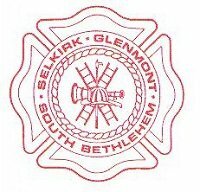 (BETHLEHEM, NY) The Building Committee of the Selkirk Fire District is looking for input from community members as it considers next steps towards rehabbing, renovating or rebuilding its fire stations. Community members (must live within the Selkirk Fire District) interested in serving on the Building Committee should contact Charles Wickham, chair of the Board of Fire Commissioners, at selkirkfdproject@gmail.com. Please express interest by April 15, 2019. For nearly a dozen years, the Selkirk Fire District has been studying how best to approach improving and modernizing its aging and unsafe fire stations. The three stations have had additions installed and improvements made over the years, but there is nothing further that can be done, and they have now reached the end of their safe and useful life. Current conditions in the fire stations can be unsafe for the volunteer firefighters who protect the lives and property of residents of the Selkirk Fire District. Dangerous conditions exist which can harm the volunteers and limit their ability to recruit new volunteers to protect residents. These issues must be addressed. All studies, drawings, background materials and election information are also available on the Selkirk Fire Department website: www.selkirkfd.org.